Without a shadow of a doubt, it has been a fantastic year for McDonald’s in the UK in 2015. It began with a bang and the re-release of the McRib after a 12-year absence from UK menus. This was followed up with a range of new burgers including The Grand, The BBQ Smokehouse and the premium Signature Collection. Touch screen ordering technology continues to be installed in restaurants nationwide and McDonald’s have looked to improve the customer experience by trialling table service in selected locations – our opinion is that this will lead to Create Your Taste landing in some format eventually. BBQ Shaker Fries featured for a limited time, alongside the popular Great Tastes of America promotion. We got a new line of Big Flavour Wraps and after Great Tastes of the World returned we got a very respectable Festive Menu line-up. We first published a McDonald’s wish list in 2015 and anything listed on that article will not return on our 2016 list but that doesn’t rule out seeing them at some point in the future. 2016 has started with the return of the Big Tasty and a revamped Chicken Legend range but what else would we at BURGER LAD® like to see from McDonald’s? So what is the first entry on our 2016 wish list…!? If the Bacon Clubhouse doesn’t get released in the UK in 2016 I doubt we’ll ever see it. 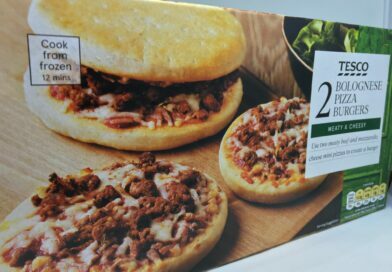 It has featured on practically every single European menu including Hungary, Austria, Slovenia, Germany, Finland, Poland, Switzerland, Malta, Sweden, Italy, The Netherlands and France. Admiral Burgerbar even had to travel especially to Belgium to review it for us. The Bacon Clubhouse started in the USA and was exported to Pakistan, Kuwait and other areas covered by McDonald’s Arabia before getting some pretty decent European coverage – except the UK! 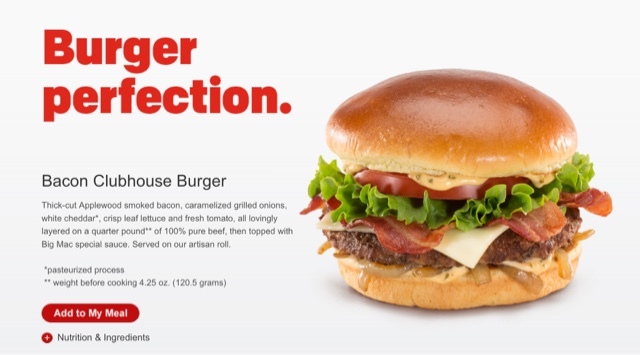 The unique selling point of the Clubhouse is that it is the only McD’s burger other than the Big Mac (and all its variations i.e. 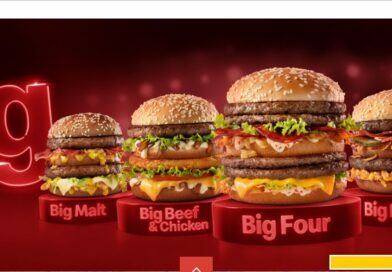 Chicken Big Mac, Triple Mac, Angus Mac) to feature Big Mac special sauce. We think this would be very popular in this country but perhaps our friends at McDonald’s don’t agree. One thing we can guarantee though is that if the Bacon Clubhouse does ever see the light of day in the UK, we’ll be there on day one! We reported before anyone else on Loaded Fries being released in Australia. 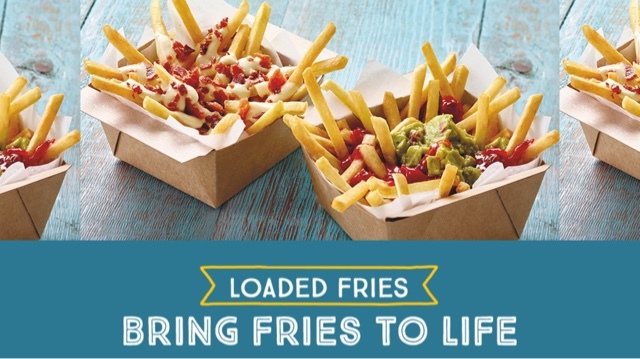 Recently released in New Zealand (although only the guac version is there) alongside Zesty Guacamole Burgers the Loaded Fries could be really popular in the UK if we’re lucky enough to get them. Clocking in at between 380 and 420 calories for a single serving, the tabloid scaremongering could hinder any release. 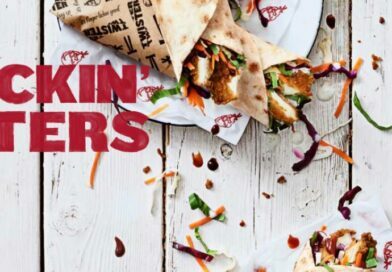 But these are nowhere near the calorie count in other topping smothered fries already available in independent restaurants or the Loaded Wedges with Cheese & Bacon available at Pizza Hut (619 kcal). The BBQ Shaker Fries were definitely a step in the right direction in 2015 so fingers crossed for Loaded Fries at some point in the near future. 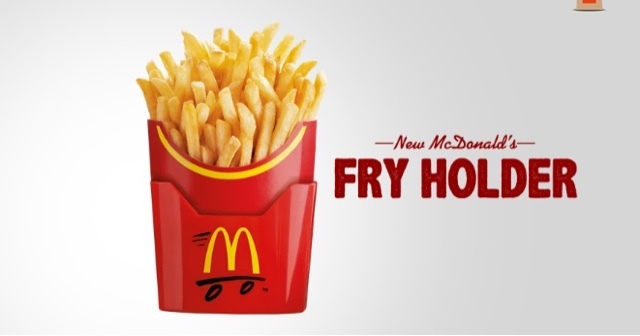 Personally, I think we’re going to see more chicken sides at McDonald’s in 2016, such as chicken thighs or wings and possibly doing Share Box style combinations offering a variety of these products with new spicy dipping sauces. The Nuremburger was first available in Germany in 2010 and combines two of Germany’s favourite foods – sausages and burgers! Featuring three traditional Nuremberg sausages topped with crispy fried onions and mustard sauce there has been a very similar burger available on menus in China called the German Sausage Double Beef. Probably a bit of an outside bet but it would certainly be fantastic to see it on UK menus. Perhaps as part of a Great Tastes of the World promotion? I’m still kicking myself for not trying McCurry Wurst when in Berlin but I did want to go with something more authentic from Wurst Works. The trip wasn’t a complete waste of time though as I did pick-up the excellent El Chili Con Carne. If the Nuremburger is unlikely in the UK then this one is even more far-fetched. OK I know we said it was a “semi-realistic” list but we like to have a bit of fun at the same time. Our number four entry is the McLobster – available in Canada as recently as June 2015 as part of the Great Canadian Taste Adventure promo. 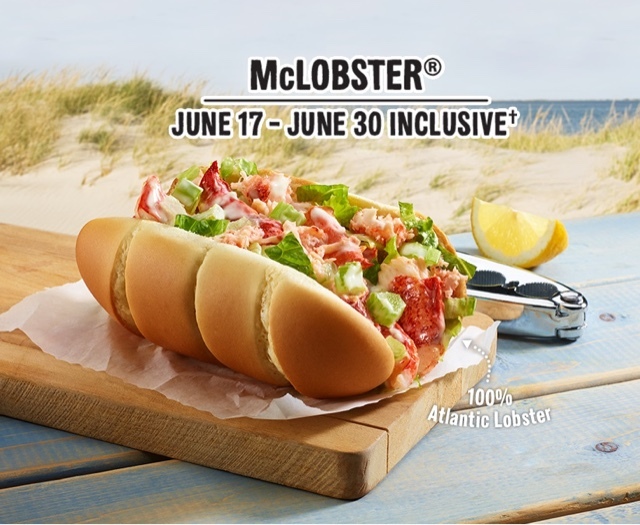 The McLobster has graced North American menus on and off since around 2013 (apparently McD’s first tried adding a Lobster roll to its US menu back in 1992 but it tanked). The closest the McLobster has swam to UK shores is in Italy when it featured on the menu as part of the Expo Limited Edition menu which also had the Bacon or Supreme McAngus and McVeggie. Priced low in the US and Canada (for lobster) the sandwich has certainly established itself as one of the more notorious menu items. To be honest, we can’t see it making its way to UK menus unless the Burger & Lobster chain explodes and EVERYONE is eating lobster. Up next is a burger we believe would be extremely popular in the UK with a slight tweak here and there. Jalapeños don’t feature very regularly on the UK menu. In fact, apart from The Big Spicy Bacon they are generally missing in action despite being hugely popular. 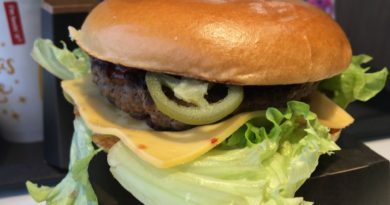 Canada recently got a great sounding burger – the Mighty Angus with Jalapeños. 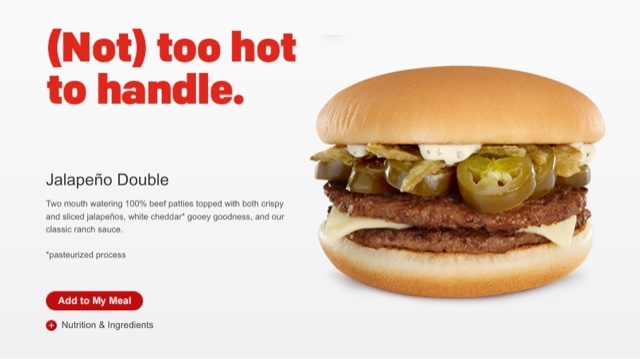 For the UK market, I’d see a switch to regular cheese found on your typical Big Mac or Cheeseburger and possibly holding the crispy Jalapeños. Again, ranch sauce isn’t something most of the UK population is au fait with so for our version it would have to be “spicy mayo” or similar. Perfect to run alongside products such as the Chicken BLC and Sweet Chilli Chicken on the Saver Menu, the UK Jalapeño Double could even just feature one patty (OK now we need a name change). The McBretzel is currently on the menu at McDonald’s Switzerland as part of the Winter Weeks limited time offer and features a pretzel-style bun minus the exterior salt. It’s not actually the first time such a bun has been seen at a McDonald’s though. In 2012, as part of the Mein Burger promotion one of the five winners was a burger called the Lauginator – this had sour cream sauce, red onions, lettuce, ham, “Italian hard cheese,” and cheddar cheese. Instead of being a crowd-sourced creation, the Swiss McBretzel has been crafted by Emmi Food Service chef, Roman Okle. We’ve seen a lot of guest burgers being created by “named” Chefs in both Switzerland and Spain (the Grand McExtrem Bibo which also has a pretzel-style bun being a great example). 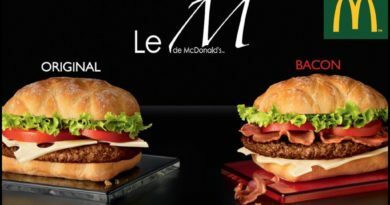 We know the UK Signature Collection was developed by “McDonald’s team of food specialists and their prestigious Chefs Council” so maybe this trend of having Chefs with their name attached to a burger could make its way to this country. I digress. The McBretzel is described via Google Translate as including Emmi Food Service cheese, apple mustard chutney (we’ve seen apple on burgers in Germany and Japan), crisp arugula and a self-created house sauce. Although this combination of ingredients is unlikely, it would be great to see something like the McBretzel in the UK. 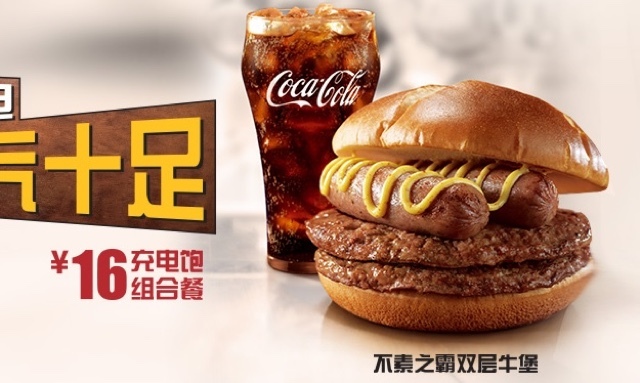 The Prosperity Burger is a regular occurrence on menus in the Far East designed to celebrate the Chinese New Year. At first glance it doesn’t look a million miles different from the McRib. This is in part, due to the oblong shape of the bun and sauce covered patty with the chopped fresh onion. The major difference is that this is beef and not pork (there’s also a chicken option) which is dipped in a rich, black pepper sauce. One word. Want. There’s also a Double version of both the beef and chicken Prosperity Burger and more often than not, Twister (curly) Fries are included in the promo. I’m not going to hold my breath on a UK release but this would work perfectly as a true “Great Tastes of the World” burger or even a New Year burger. A couple of variations are currently on the menu in Hong Kong; Prosperity Burger Red has lettuce, mayo and a spicy tomato chilli sauce with the Gold version offering customers the chance to have rich garlic sauce instead. Here’s a breakfast addition we’d like to see on the UK menu in 2016. Last year we saw the release of the Sausage & Bacon Sandwich which caused a bit of furore by topping it with onions. Yes onions… for breakfast. Outrageous. Our next entry might even be more controversial and was neck and neck with the Steak, Egg & Cheese McMuffin for our number eight slot. Personally, I love a homemade Miss Milkshake® breakfast burrito – her version includes spring onions and sliced black olives with Cholula Chipotle sauce and is incredible. 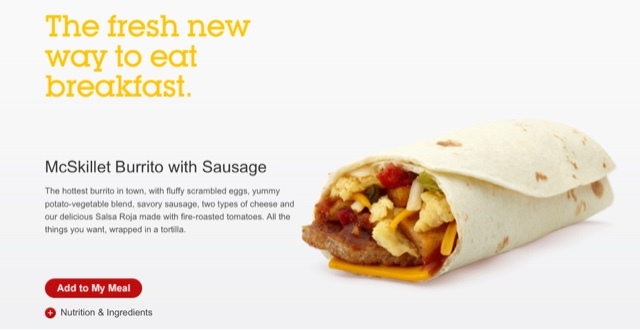 How cool would it be to get a Mexican-inspired breakfast burrito from McDonald’s? 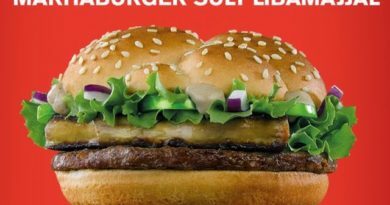 Singapore has a long-standing tradition of offering customers spicy options and up next is a burger that was available as part of The Spicy Challenge in 2014. The initial promotion had three burgers advertised with varying degrees of spice levels and the fourth one teased with a mysterious question mark. 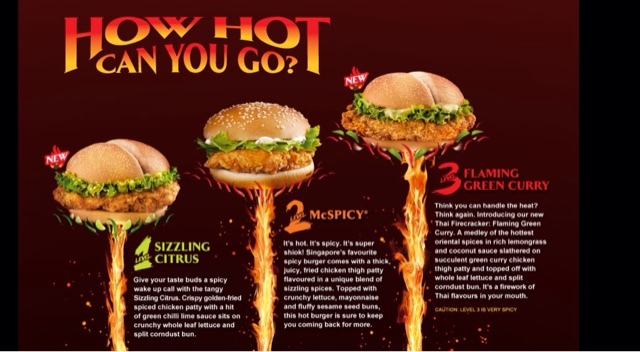 Level 1 was Sizzling Citrus, Level 2 McSpicy and Level 4 was eventually revealed as the Fiery Mala – a chicken burger topped with a fiery chargrilled sauce. But it is the Level 3, Flaming Green Curry chicken burger we’d like to see the most in the UK. After all, who doesn’t like Thai food…!? Canada got the Spicy Thai McBistro Sandwich and with McDonald’s in the UK cranking up the spice levels with burgers such as the Hot & Spicy Buffalo BBQ Chicken maybe one day we’ll get something similar to the Flaming Green Curry. In February 2015, parts of the world went crazy when McDonald’s Australia (or Macca’s) announced they would be selling a limited number of 25ml Big Mac sauce sachets in all 920 Australian restaurants. There was also an even more limited number of special 500ml glass bottles of the sauce made (200 in fact) with just one available on eBay and proceeds of the sale going to Ronald McDonald House Charities (bidding was in the £12,000 region). You then started to see the 25ml sachets on eBay at inflated prices alongside the odd Big Mac sauce canister which an obviously unscrupulous member of staff had lifted from the kitchen (we don’t recommend ever bidding on such items if available due to the fact they have been stolen and must remain refrigerated). It got me thinking. And considering Gourmet Burger Kitchen sell their range of burger relishes at retail – could we ever see McDonald’s Big Mac sauce available on shelves? Unlikely, but there must be a HUGE demand. Our final entry was very close to being replaced by McDonald’s branded apparel. The recent Twitter Christmas Jumper competition (limited to fifteen winners) attracted over 2,000 RTs in an attempt to win one. 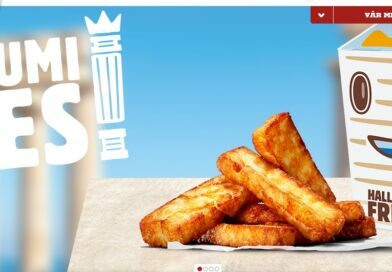 Plus there’s now the (Swedish-based) online Big Mac Shop serving all sorts of non-burger items ranging from a raincoat to bed linen and even wellington boots. And how about that Far East Fry Holder? I think it is testament to the brand that there is such a consumer demand for non-burger/food items. Imagine going into a store and seeing Big Mac sauce on shelves in your local supermarket. We think it would be a huge seller with customers paying a premium price and is why it definitely makes our most wanted top 10 wish list for 2016. McDouble Cruncher (USA), Sausage, Egg & Cheese McGriddles (USA), Philly Cheese Steak Sandwich (USA), Samurai Burger (various), Surf & Turf Burger (Taiwan), Indi-McSpicy Chicken (India), Aussie BBQ Angus (Australia), Swiss King (Czech Republic), The M (France/UK), Big Rosti (various), The French (Kuwait), Double Wasabi Ebi (Singapore), Maple & Bacon Poutine (Canada), Grand Cheddar McMelt (Brazil), 280 Sauce au Poivre Vert (France), Batman Diner Double Beef (Hong Kong), Bacon Habanero Ranch Quarter Pounder (USA) and many, many more! Personally, that was the most difficult list I have complied as there is a plethora of magnificent burgers around the world at McDonald’s and this could have easily become a top 100. What do you think? Which of our choices would you like to see on the menu at McDonald’s? Have we missed your favourite choice? Intersting. Bacon clubhouse I'd love to see ! Curly fries feature on the not so different irish menu and I've seem mcdonalds branded ketchup and mustard in a german supermarket. Bacon Clubhouse is coming next Wednesday alongside legends with bacon and mozz dippers. Would love to see curly fries or criss cut fries brought back!